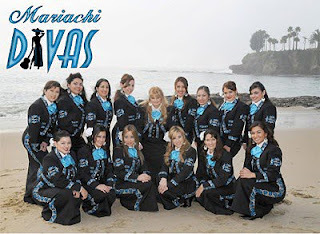 ROSARITO BEACH, BAJA CALIFORNIA, MEXICO – An October mariachi spectacular will feature the first Mexican concert by the Grammy-winning Mariachi Divas as well as competition between music and dance groups from Mexico and the U.S. In addition to the chance to hear great mariachi music, the thousands expected to attend from both Mexican and the U.S. will know that their ticket purchases will go toward helping build Rosarito’s first Boys & Girls Club. The Oct. 2 and 3 beachfront spectacular on the grounds of the Rosarito Beach Hotel will feature both mariachi and folkloric ballet competitions starting at 10 each day with groups from junior high through college age from both countries. U.S. competitors include groups from Chula Vista, Anaheim and Tucson. “We have many fans in Mexico and are looking forward to seeing them at our first public concert there, as well as many of our friends from the U.S.,” said Diva leader Cindy Shea. Tickets also can be purchased in advance at the Rosarito Beach Hotel, the Rosarito Convention & Visitors Bureau or, if still available, at the event itself. Proceeds from the Mariachi festival will go toward the $1.3 million needed for the construction and operation of the Rosarito Boys and Girls Club. Ground already has been broken and about $200,000 raised. Members of Rosarito’s large expatriate community will be helping as event volunteers and the Rosarito Beach Hotel is offering special lodging packages. The mariachi festival has been named an official event of Mexico’s bicentennial. The state department of tourism and city are among sponsors. “We are proud to have this prestigious event in our city and look forward to it becoming an annual showcase,” said Rosarito Mayor Hugo Torres.